Khashoggi's fiance, who was waiting outside at the time of his disappearance on Tuesday, said he simply never came out. Since that time there's been an international outcry and search for the missing journalist — a Washington Post columnist and former editor of a couple major Saudi newspapers — who had a reputation as an outspoken critic of Saudi Arabia's rulers. He was initially widely reported "detained" inside the consul premises by Saudi authorities. Saudi officials have vehemently denied having ever detained Khashoggi and have repeatedly said he freely left the embassy not long after he entered. The Saudi crown prince (MBS) himself on Friday invited Turkish authorities to enter the building to conduct an investigation, telling Bloomberg: "We are ready to welcome the Turkish government to go and search our premises," he said of the consulate which is Saudi sovereign territory. "We will allow them to enter and search and do whatever they want to do...We have nothing to hide," MBS added. During his Friday interview with Bloomberg crown prince MBS was said to be "exuding confidence" by some observers; however, if confirmed the whole incident could threaten the future of US-Saudi relations. Early in the day Saturday Turkey's Anadolu news agency announced the Istanbul public prosecutor's office was formally probing the disappearance, and though yet to reveal any specific evidence to back the murder charge, concluded that a 15-member team “came from Saudi Arabia. It was a preplanned murder,” according to sources privy to the investigation cited in The Washington Post. Meanwhile, on the heels of the bombshell initial reports on Saturday alleging that Khashoggi was murdered, Middle East Eye issued its own report based on sources close to the Turkish probe into the disappearance. The report claims the Saudi journalist was "brutally tortured, killed and cut into pieces" and his body removed from the consulate. The Middle East Eye sources further say there is video tape evidence of the whole murder - a tape subsequently taken out of Turkey via return flight to Saudi Arabia. "The initial assessment of the Turkish police is that Mr Khashoggi has been killed at the consulate of Saudi Arabia in Istanbul. We believe that the murder was premeditated and the body was subsequently moved out of the consulate," one of the sources, a Turkish official, said. 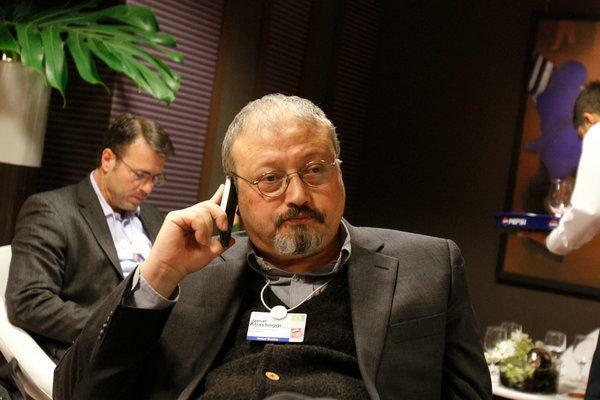 A senior Turkish police source told MEE that Khashoggi had been "brutally tortured, killed and cut into pieces. Everything was videotaped to prove the mission had been accomplished and the tape was taken out of the country". We are about to see an explosion of heated diplomatic activity and claims and counterclaims after today's reports, but what is certain is that Jamal Khashoggi is still nowhere to be found.